You can see on the New Process 203 that the speedometer cable connects to the case on the drivers side. It has a fill plug for filling the case with lube. The case has no drain plug. 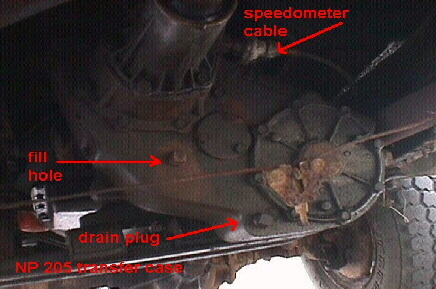 Fluid is drained by removing the lowest bolts on the passenger side cover. 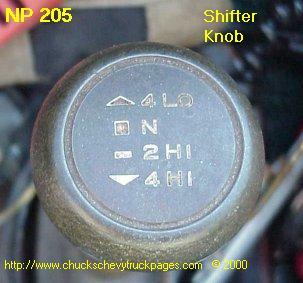 Check out the Mile Marker Conversion Kit for the NP 203. About $120. The New Process 205 transfer case has a fluid fill plug, and a drain plug. 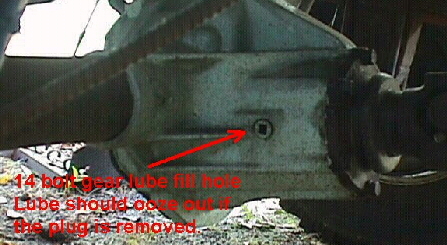 There is a 3 bolt cover on the idler shaft. Just to the right and slightly above the fill hole. The NP 203 does not have this cover. 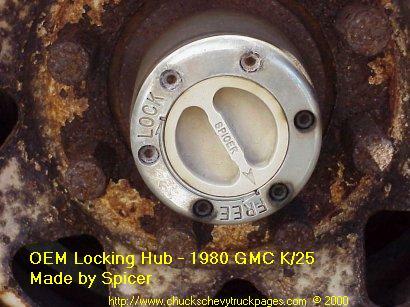 This is a Spicer manual locking hub that came stock on my 80 GMC front axle. It's seen hard use, and high miles, and still works perfectly. Maintenance is critical to the life of locking hubs. This has a stainless steel body. 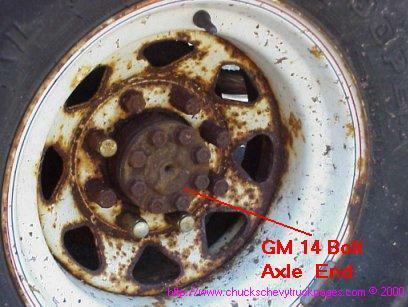 Here's the GM 14 Bolt Hub. When checking gear lube, the fluid should just start to ooze out the fill hole. Be sure the truck is level when checking levels. Add fluid until it starts to seep out. When changing differential lube, you should remove the cover. This gives you a chance to see the condition of your gears. Be sure to clean the gasket surfaces good, and use RTV to seal them. If you have never checked your gear oil level before, and you plan on changing it, first make sure you can remove the fill plug. There is no way to get gear oil back in if the fill plug is seized. 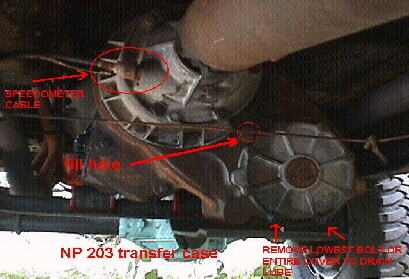 Some trucks have them on the front and rear axle drive shafts. 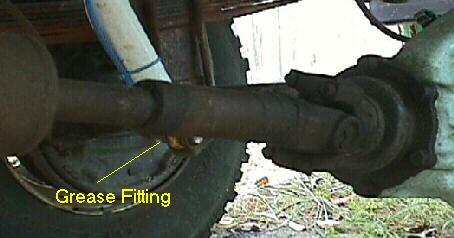 All 1973 - 1987 Chevy's have them on the front axle drive shafts. They have a grease fitting on them. Chassis grease should not be used on these. Wheel bearing grease, preferably waterproof type, should be used instead. 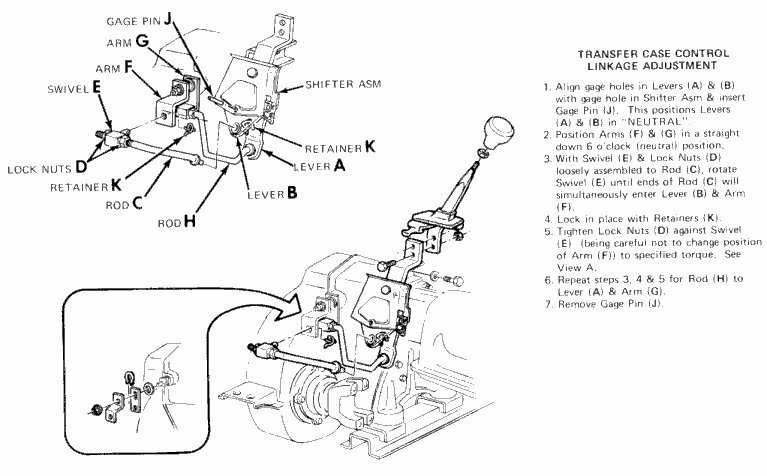 WHICH AUTO TRANS DO YOU HAVE? 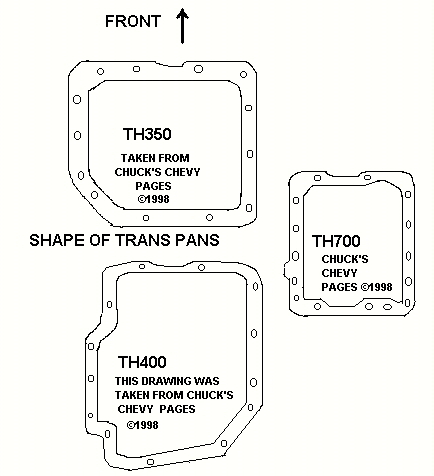 CLICK HERE TO SEE THE SHAPES OF THE DIFFERENT PANS. These are the REAL books you NEED. Ebay has them!